Some may say vegetable gardening is all about the seeds. Every winter as I page through the seed catalogs I can’t help but dream of the perfect harvest. 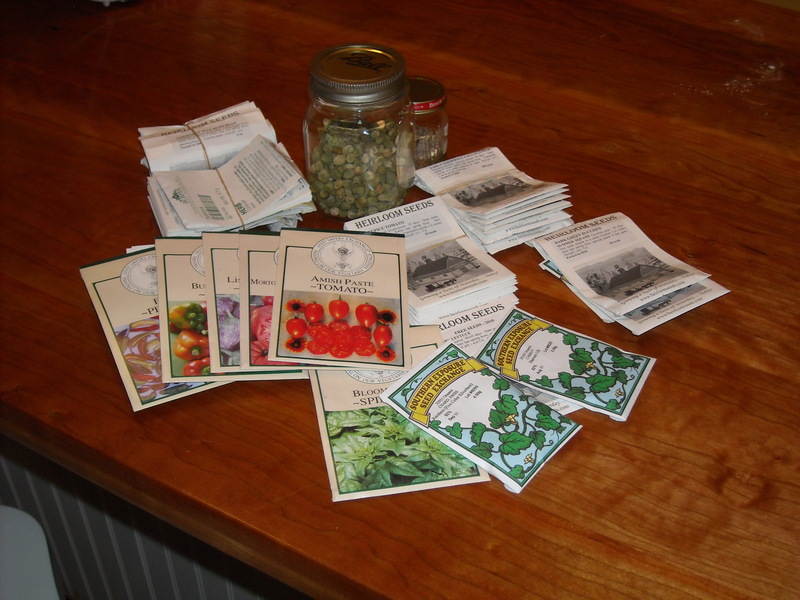 It’s this time of year that I begin laying out my plans for the upcoming gardening seasons. This year seems a little more challenging then the past few years because of my desire to harvest food all year round. To answer the question: what should I grow? 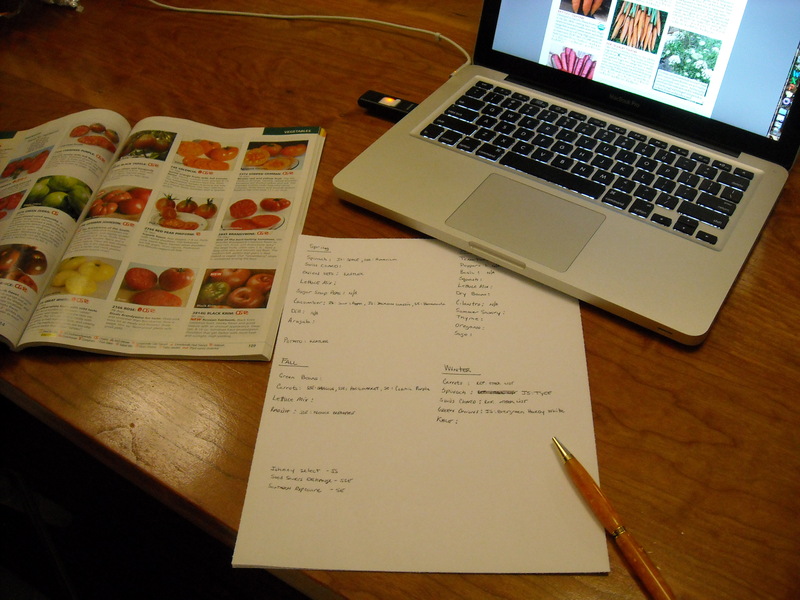 I start by laying out my growing seasons and then listing what vegetables I would like to grow in each season. Once I have a general list I begin to select various varieties of each vegetable that are best suited for the season in which I would like to grow them. Most seed companies will supply you with some basic information to help make this process easier. When I have an idea of what I would like to grow, I check my inventory of seeds to determine what I may need to purchase. When trying to determine how much I should grow, I make a basic sketch of my garden layout on a sheet of graph paper. Once my scale and layout is established, I then begin sketching in various vegetables at the recommend spacings. This process is a good reality check, it helps make sure you have room to plant what you want to plant. Once my sketches are complete it is time to start thinking about when to plant. Each year I keep a detailed spread sheet of all my seed starting information, this is a great reference tool when considering when to start various seeds. With both my growing lists and garden layouts complete, I begin to develop a rough seed starting timeline for the upcoming seasons. It is only a rough timeline, because there are so many events in our lives that can affect our ability to get to the job of seed starting. The biggest challenges sometimes comes from Mother Nature. Once I begin planting I create a new spread sheet to record the data for the upcoming season. Keeping good records makes planning and planting in the future much easier.